When you specialize in a particular kind of work, you have more opportunities to distinguish your services from competitors and win the kinds of projects at which your firm excels. So what is your niche? Custom metals is ours. Many dream homes are made complete by designing in custom fabricated metal elements, some of which can be very costly and challenging to build. Modern Metal Solutions consistently strives to be cost effective while increasing our working knowledge of new and exciting products so that your job gets a little easier. We’re all familiar with some of the common residential architectural metals, decorative components such as chimney caps, kitchen hoods, and entry rails. We are not referring to those metal elements. 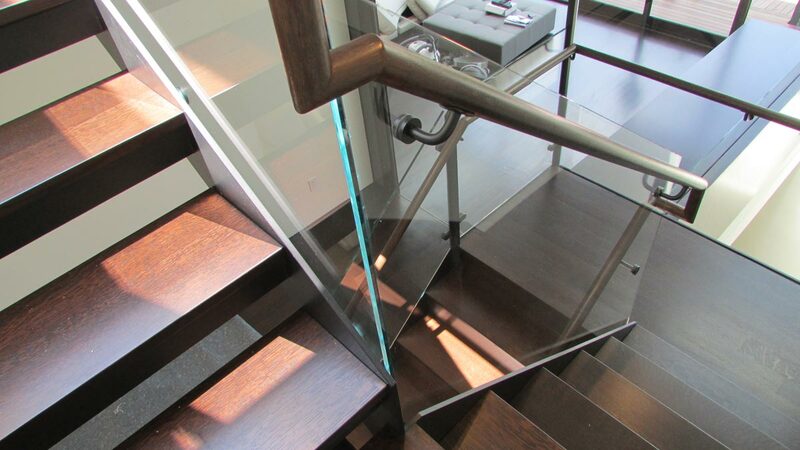 One example would be projects like this 1900’s Brownstone (shown above) that blends traditional features with a modern steel and glass stair. What about this Tudor style house (shown below) that incorporates modern custom outdoor rails and column covers to give it that wow factor! There are no limits to what can be created with custom fabricated metal elements. Modern Metal Solutions can enter the planning process at any stage from design development to drafting and detailing. We are technology rich and provide turnkey fabrication solutions to flawlessly complete your most complex architectural and ornamental metal projects. 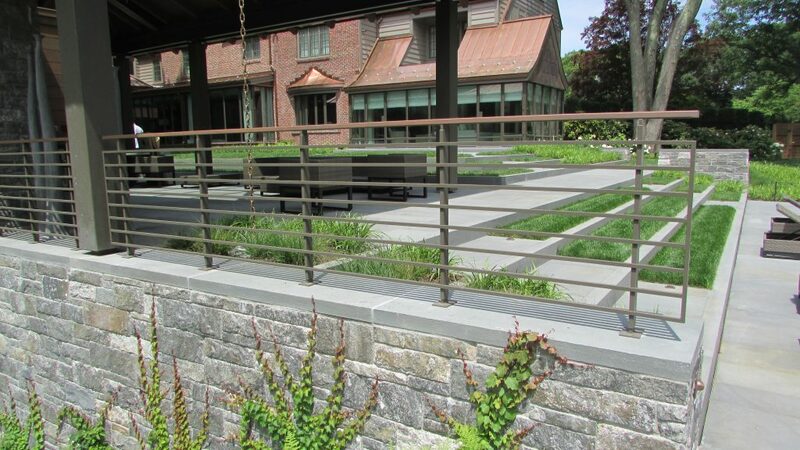 The ability to easily incorporate those difficult custom metal elements gives the architect and builder a competitive advantage in the high end residential market. Firm principal, Chris Aubrey, works with architects and builders across the country and welcomes questions about challenging custom metals projects. Feel free to call us at 603-402-3022.